A summer view looking northwest from the old jail on Guadalupe Hill. 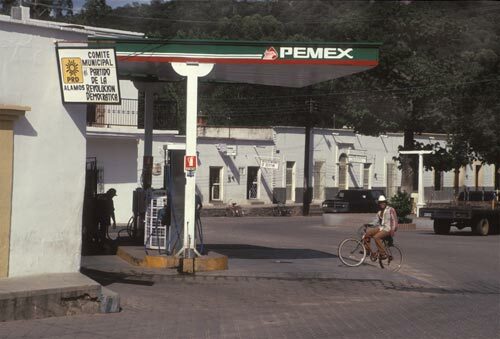 Three busy centers of Alamos can be seen above: the gas station is at the photo’s bottom left, just to the left of the two story building. The Asoc. Ganadera local de Alamos is seen to the left of the gas station with its large angled metal roof that is behind and part of the local cattlemen and ranchers association’s office. The roof’s design acts like a speaker broadcasting music from dances held here across town and off the mountains. In the middle near the right edge is La Capilla Zapopan. Chapel Zapopan was built in 1841 for Dona Juana Mallen by Don Ignacio Almada y Alvarado. One approaches the busy Alameda as the highway from the west ends. The nature of my documentary efforts is capturing an area’s geography and events during a certain time period. There has been numerous times while I edited history films that I wished someone had taken a picture that benchmarked a landscape in a specific era. My photos will, hopefully, be accessible to future film makers as they look back and interpret the past. The body of my work is not commercial photography: these images were not made for someone or something. They are part and parcel of a time-capsule-database-puzzle driven by my quizzical eye. This Journal you are now reading is my attempt to make it less a puzzle by providing information about the photos and the context that they were produced in. 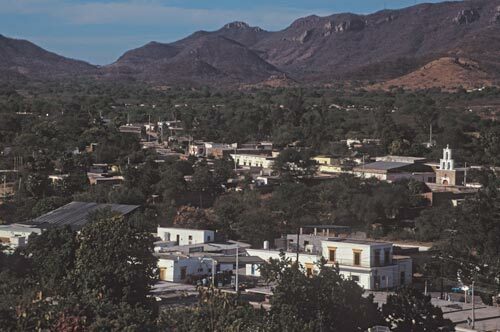 As example, Alamos’ population has nearly doubled since I last visited and I am sure that many of these scenes have changed just as I am sure that many remain the same. I have heard for years that the jail on this hill would become a cultural center, a wonderful idea for a substantial structure with million dollar views right in the middle of town. The question becomes, is this same vantage point in 2011 a view from a cultural center or is it a photo from the old jail? All I know is this is what it looked like in 1996 and behind me was a jail with armed guards wanting me to buy inmate handcrafted horsehair products. The only gas station in town is part of a Federal monopoly. On March 18, 1938 the Mexican government nationalized foreign oil companies operating in Mexico. 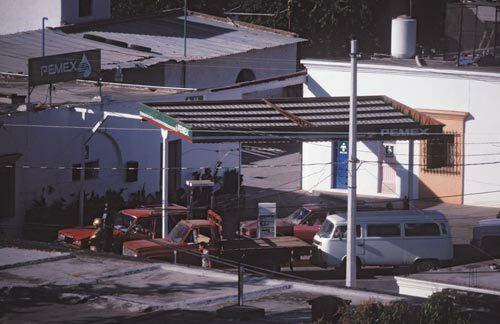 This was the birth of Petroleos Mexicanos, Pemex. Today it is the second largest state owned country in the world as well as the second largest company in Latin America. 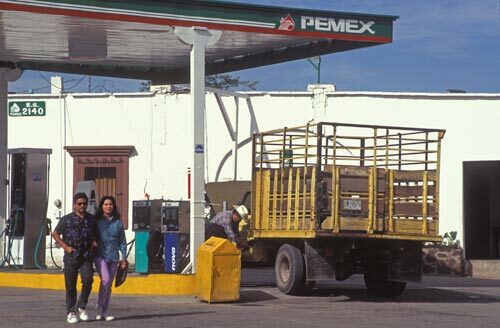 Pemex has 138,000 employees and pays taxes that cover 40% of the federal government budget. The Mexican petroleum industry has come a long way from Tampico in 1876 when oil was first successfully refined into kerosene. Modern Mexico and Pemex, with assets worth USD $416 billion, are tied at the billfold. Need gas? Need air? Need directions. 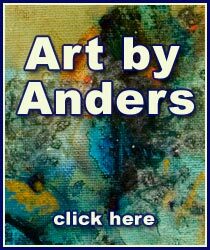 Here is a good place to go. 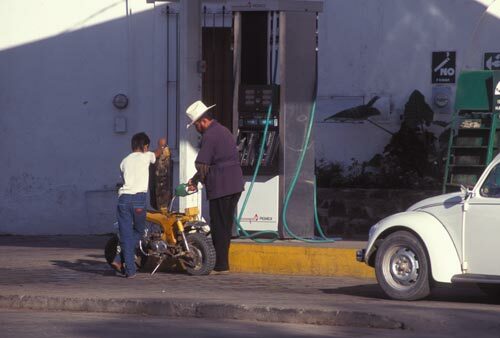 If one was to spend a day watching the comings and goings at the gas station they would learn much about what makes Alamos go. People pull in for gas and air all day long: on foot with gas cans, bicycles, motorcycles, cars, trucks, big trucks and buses. Conversations take place between customers, attendants, people passing by and folks hanging out. Locals, tourists, ranchers from out back, North American community members, employers, workers, poor and rich all show up if they need gas here and now. Waiting in line can be a social event. Another day is coming to an end, a time of reflection and preparation. These kids are sitting across the street from the gas station. What are they thinking? And where are they today? Did they they know of Carlos Slim Helu? Currently, Carlos Slim Helu is thought to the wealthiest man on planet earth. His father, Julian, emigrated to Mexico from Lebanon at the age of 14 in 1902. Julian began his business career, and long lasting family fortune, with a dry goods store and Mexico City commercial real estate investments. Today, Carlos is chairman and CEO of Telemex and America Movil. His conglomerate Grupo Carso SAB has extensive holdings in other Mexican Companies. All together, his corporate holdings in 2011 are thought to be worth USD $74 billion. Soon it will be time for these kids to say goodbye to each other and return to their families for dinner. 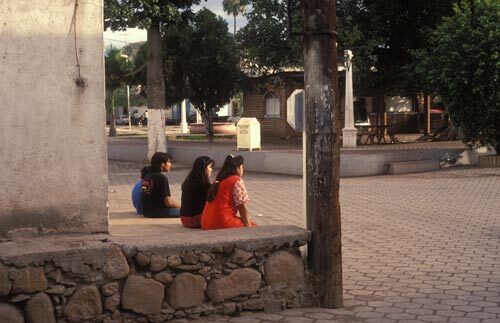 The future of Mexico is tied to Pemex, the likes of Carlos Slim Helu, these kids and the kids who are now sitting in this very same place. I wonder what the kids of today are thinking? No customer with cash, or good credit, is too small or too big. This is a busy place in a noisy neighborhood. It is a junction that keeps Alamos, Sonora, Mexico functioning in the modern internal combustion era. In reality, not ever one in Alamos owns a car. In fact, most do not own a car and if they need to travel they walk, ride bikes, motor scooters, an occasional horse, taxis or buses. Life without a car is a slower life. Some would say it is the way to live life come sunrise, come sunset. This page took 0.395 seconds of computer labor to produce.